We are committed to activating space in a way that promotes community engagement with art and tech. Over the course of a weekend POWRPLNT teamed up with local artists Shanekia McIntosh and Zia Anger to create a fun weekend of learning for tweens at the brand new Hudson Area Library. We invited artist Mark Dorf to teach Gif Making, Angelina Dreem taught Ableton Live, Zia Anger taught Filmmaking with your iPhone and Shanekia (of Zero Cool) taught Zine Making. 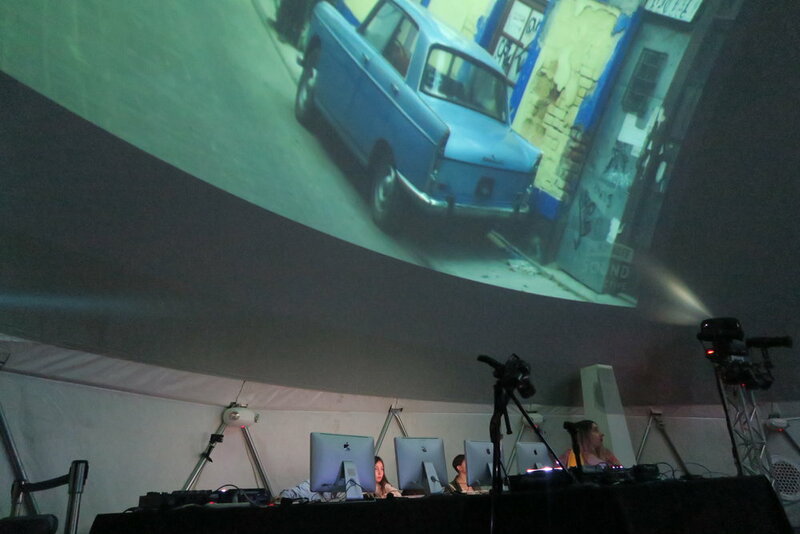 We provided computers and organized a group Ableton Live for Girls class in the dome at MoMAPS1. Taught by musician and POWRPLNT teaching artist, Fin Simonetti. POWRPLNT teamed up with the curators of MAMI festival at Knockdown Center to produce a green screen photo booth for all attendees.